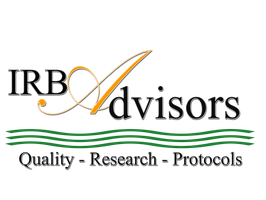 Independent Review Board - IRB Advisors, Inc.
Our well qualified consulting associates who are also IRB members conduct exempt review, non-human research review, advisory reviews (pre-review) of your proposed research for the protection of human research participants. Protocols are assigned based on specific knowledge of the topic along with the training and expertise of the reviewer. Applications are accepted daily. For more information, contact ﻿Client Services. The IRB reviews proposed research to determine if a project may be exempt from IRB review. Federal regulations allow exemption for research activities in which the only involvement of human subjects falls within one or more of the categories outlined at 45 CFR 46.101(b). A written notification to the IRB that the research is completed or terminated is required within 30 days of completion or termination of all research activity. Exempt applications are accepted daily and will be reviewed within five business days, not including weekend or holidays. When exempt protocols are modified, we must recertify eligibility for exemption since changes may also change the research category. In some circumstances, changes to the protocol may disqualify the research from exempt status. If the board determines your research to be exempt, submission of any modification to the research for prospective review and determination of continued exemption status prior to the implementation of the change is required. Modification applications are accepted daily and are reviewed within 24 hours, except weekend and holidays. If you are unsure whether your project is human subjects research, or you don't want to worry about whether you will be able to publish your results, apply for a Non-Human Research Determination. Based on the federal regulatory definitions of research and human subjects, if both definitions are not met, a Non-human research determination can be made. 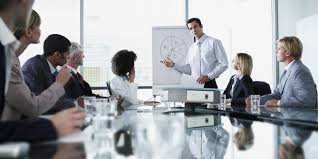 This is helpful in various circumstances but, of particular importance is when you wish to prove that an IRB or qualified individuals made a determination. Non-Human Research Determination requests are also accepted daily and are reviewed within three days, not including weekend or holidays. Pre-Review of new projects are conducted daily and include an assessment of the appropriate risk level, research category and whether provisions for the protection of the subject population is adequate. 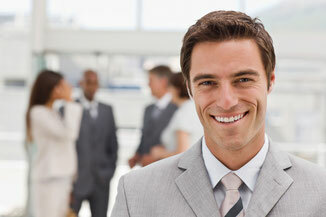 Our Subject Matter Experts (SME) may also assist with submission to other committees as necessary.